Facebook over the past few years has gained massive popularity as an online social media tool not only for individuals to keep up to date with what there friends and family are up too but also to help businesses promote their products and services. Nowadays businesses are transferring budgets that they used to spend on other mediums of advertising that are dated to this more popular and direct format. Facebook is available via the Web from a laptop or desktop computer, but the most popular by far is via their app on all smartphones. Facebook’s mission is to allow people the ability to share thoughts and opinions making the world more open and connected. 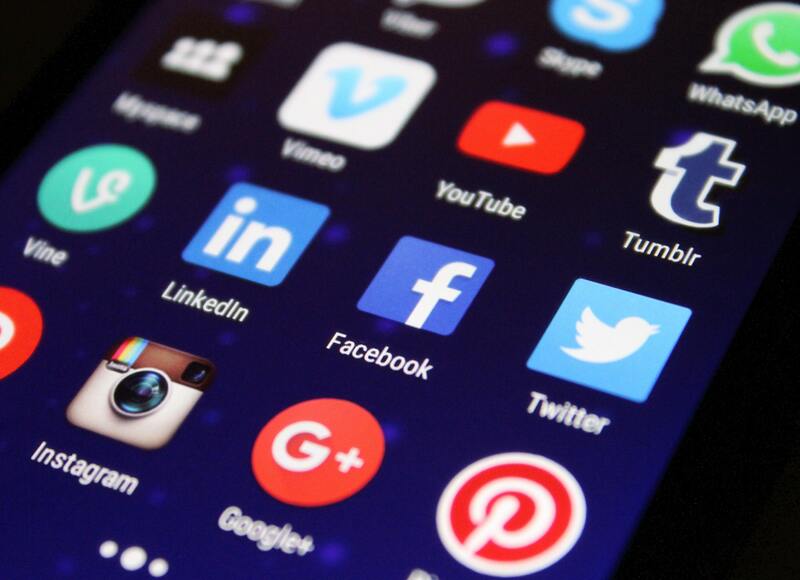 Due to a large number of users visiting Facebook regularly throughout the day, many businesses have adapted to Facebook as a form of digital marketing as a way to connect with potential customers. They do this by creating a business Facebook page and uploading information about their business including products and services. Once the business Facebook page has been customised the options are endless. You can start off by creating a fan base by inviting people to like the business page which means when you post information (whatever you like) these chosen people will see your information or posts via their newsfeed, from where they can like and share the information if they wish too. 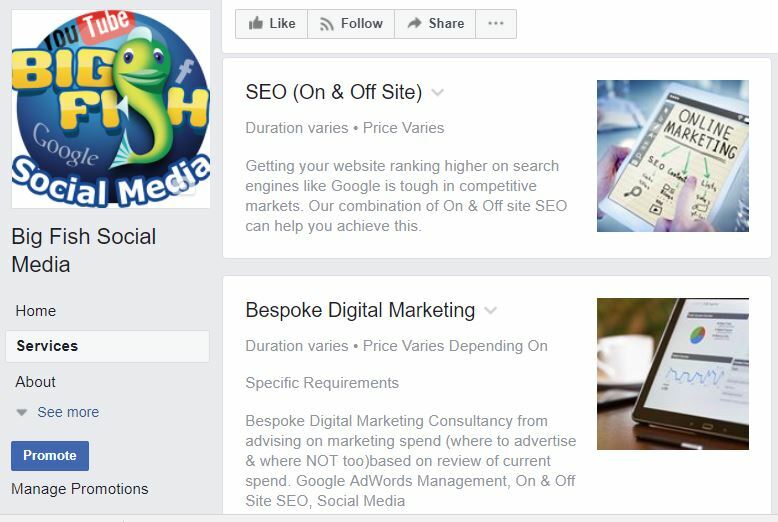 By far the most popular strategy for businesses is to either “boost” a specific post out to an audience which they can customise to suit the demographics of there business. e.g. Male or Female (or both), Age group, area or location they work in or target specific people that have an interest in their type of service or products. Or you can create an ad campaign where you can design a certain type of advert, e.g. 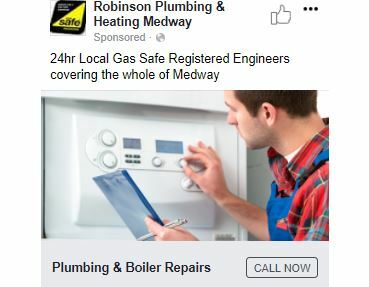 if you were a plumber and it was the winter time you could run an advert on Boiler Repairs. Again you can customise the demographics to target Male or Female (or both), Age group, area or location you want to target and specific people that have an interest in this type of service. 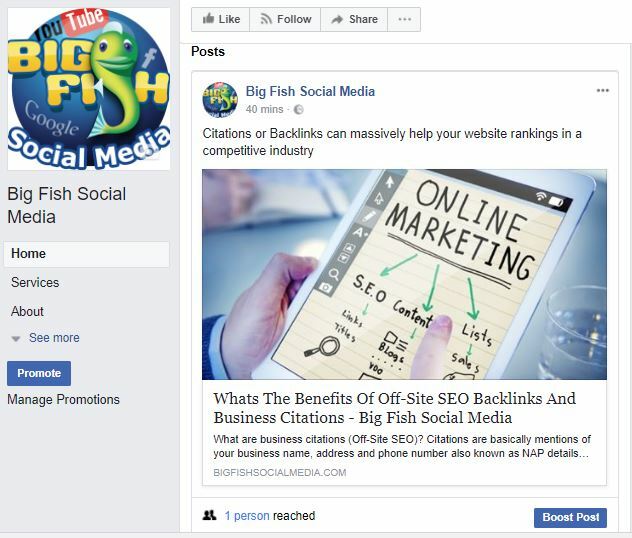 Big Fish Social Media has a wealth of experience in this style of advertising and manages and maintains Facebook pages and campaigns on behalf of our clients. If you feel that its time to shake up your advertising strategy and try something new and different then contact us for more information. I am a highly versatile Digital Marketing professional with 15 years’ experience selling bespoke multimedia solutions. My experience and knowledge is advising clients face to face on a wide range of Multi Media products based around there specific industry and needs such as Website Design, On & Off Site SEO, Google adwords/Pay Per Click, Online Videos, Social Media, Outdoor Media & Print Advertising.